Most people want to play iTunes M4V videos on Creative Zen. But they found impossible. How to play the iTunes M4V videos on Creative Zen? The Creative Zen is a range of digital audio players (DAPs) and portable media players (PMPs) made by Creative Technology. The players evolved from the now-defunct NOMAD brand through the NOMAD Jukebox series. All players are compatible with MP3 and WMA, while various models support WAV and Audible files. The typical video format Zen supports is AVI format. So if you want to transfer M4V to Creative Zen, a M4V to AVI Converter for Creative Zen is necessary. There are kinds of video converter tools, take M4V Converter Plus for Win for example. If you purchase it, you will find it is not only a M4V to Creative Zen Converter, but also a DRM remover. Step 1: Import the iTunes M4V videos you want to convert. 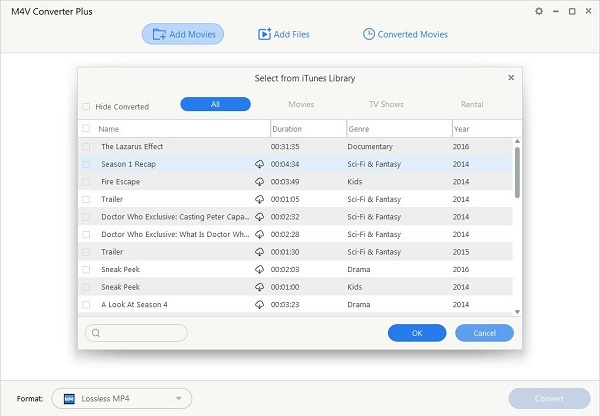 Click the Add Movies button to load the videos you want, M4V Converter Plus for Win will open iTunes library automatically, select the the movies from iTunes library. Step 2: Set the output format. 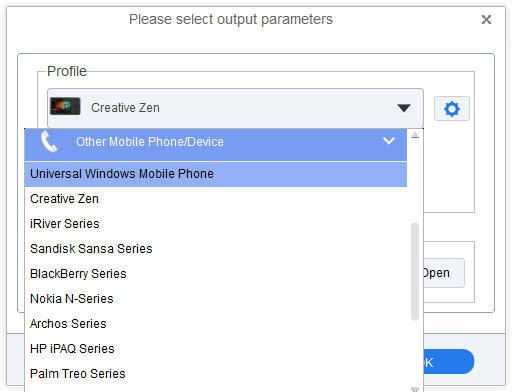 You can directly choose Creative Zen in the output format profile drop-down list Other Mobile Phone/Device option. Step 3: Click profile to start conversion. Three simple steps, you have finished the conversion, so easy, isn't it? Now transfer the converted AVI videos to your Creative Zen and enjoy them freely.